Marsh foxtail is a low growing perennial grass which in the right wet conditions will spread out to carpet the ground even extending out floating over shallow water. In flower it has slender foxtail like heads borne up on short stems. 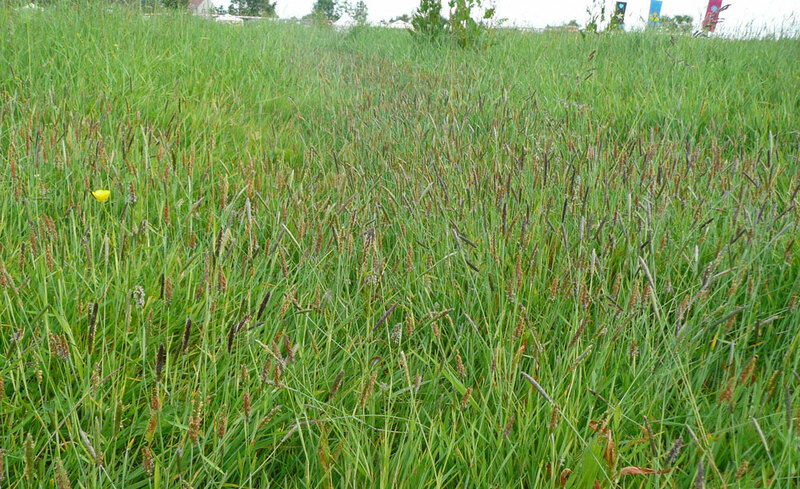 In general growth form and habit it is more similar to creeping bent (with which it is often associated) than its larger cousin meadow foxtail. 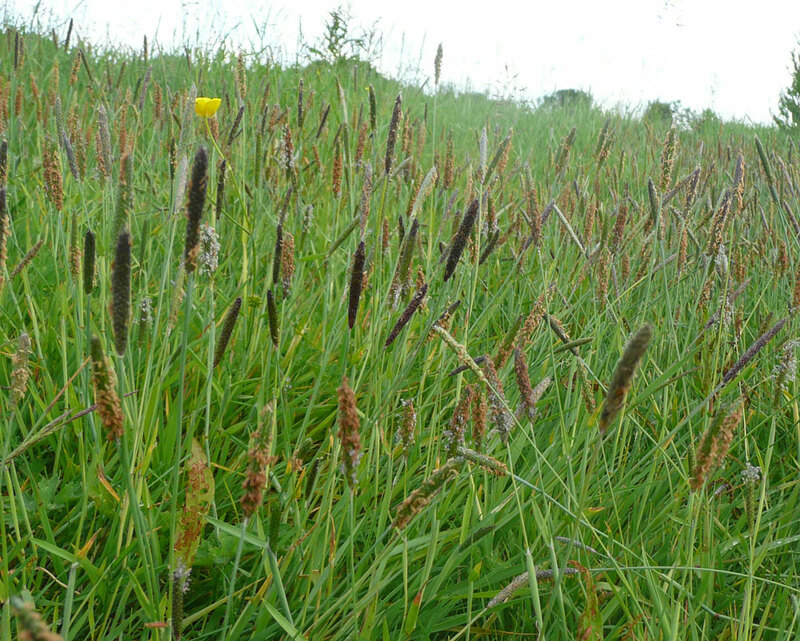 Marsh foxtail is frequent in wet grassland on marshy ground particularly in fertile sites with areas that flood in winter such as hollows, shallow muddy ditch-sides, scrapes, pond margins and grazing marshes. It can regenerate to recolonise bare mud either from seed or shoot fragments, so can also be found growing in wet arable fields. Marsh foxtail seed can be sown at any time of year. For introducing into open ground on suitable wet sites seed is best sown between April and September when the risk of flooding is least. Its use in habitat creation is restricted both by limited seed availability and its particular habitat requirements. In the right place it is quite a vigorous plant, however whilst it can grow on 'normal' soils it lacks vigour here to compete successfully with other plants. Where successfully established in the right location it will persist and regenerate itself. Management should be focused on maintaining the wider grassland or wetland environment in which it grows.